Engineers are spearheading the development of tools that will usher in medicine’s new age. It’s the mysterious vanguard of medical research, an emerging field of cell-based science that could hold the key to curing everything from blindness to diabetes. Regenerative medicine yields headlines that focus on the high-profile research of biologists. But a new breed of UK engineers are adapting a traditional systems approach to help make its incredible potential a reality. Fisher is well-placed to understand the role engineers could play in cell-based therapies. As co-founder of Leeds University spin-out, Tissue Regenix, his expertise has been crucial in developing biological scaffolds that can be used as a compatible donor tissue for stem-cell applications. 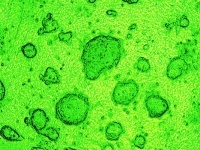 The technique, known as dCell sterilisation, strips human tissue of its native functional cells to form a biological scaffold. These scaffolds are then implanted into the human body and repopulated with the patient’s own cells for treatments such as cartilage replacement therapy and heart valve repair. Fisher claims the success of the treatment has been as much down to engineers as biologists. The challenge of bringing biologists and engineers together to develop cell-based therapies is significant and many believe that the divide between the two industries is not being bridged fast enough. Prof Chris Mason of University College London claims that there are around 4,000-5,000 key people in the UK who need to build their understanding of what engineering can contribute to regenerative medicine before it becomes a widespread reality. One of the biggest tasks facing engineers is scaling up the production of cells and tissues. Richard Archer, chair of the Bioindustry Association’s Regenerative Medicine Group and a former automation engineer, estimates that 15 million cells need to be grown per patient to make regenerative medicine ’work’. In his view, one of the long-term lines of attack would be to develop a system that can print cells in a pattern, using techniques similar to rapid prototyping. In the shorter term, companies such as ReNeuron are developing a centralised model of cell production in which a single cell type is rapidly mass produced on one site. Scaling up is also the focus of Remedi, a government-funded Innovative Grand Challenge, headed by Prof David Williams. Over the past year, his group has succeeded in automating the mass production of human stem cells and differentiating them into cardiac muscle cells without variability. However, breakthroughs such as this have been few and far between. ’There are huge holes in the range of technologies that you need to routinely make this stuff for the right price and get it right every time,’ said Archer. But the problem, he added, is not limited to achieving large-scale production. As well as manufacturing and monitoring these cells, engineers are tasked with developing the instruments that will deliver them into the body and allow them to form into tissue. Nottingham University is pioneering a technique that it believes will be vital in this area. Led by Prof Kevin Shakesheff, the team has developed a material that can be injected into broken bones to form a biodegradable scaffold over which cells can grow. Regenerative medicine is an emerging interdisciplinary field that spans tissue engineering, stem-cell biology, nanoscience and bioengineering for the repair of cells, tissues and organs. In March 2008, Claudia Castillo from Spain was the recipient of the first organ – a lung – to be fashioned in part from her own stem cells. The cells were cultured at Bristol University. The London Project to Cure Blindness is currently one of the more high-profile areas of research. It is hoping to use embryonic stem cells to cure age-related macular degeneration and has recently announced a collaborative deal with Pfizer to advance the work. More than £56m of government funding has been invested in research for regenerative medicine in the UK, compared to £5m raised by regenerative medicine companies in the past year. Shakesheff notes that there is a need for earlier collaboration between cell biologists and engineers in order to commercialise research. Examples from the not too distant past have shown that without this partnership, even the most successful cell-based therapies will fail to reach the patients. During the 1990s, around £4.5bn was spent on tissue engineering fuelled by the media frenzy around growing whole human organs in the lab. Many companies in the field failed as their products were too expensive to make. While taking a technical approach to regenerative medicine has proven crucial, Britain appears to be the only country in the world that is engaging with both communities to drive forward innovation. 15 million cells need to be grown per patient to make regenerative medicine ’work’. 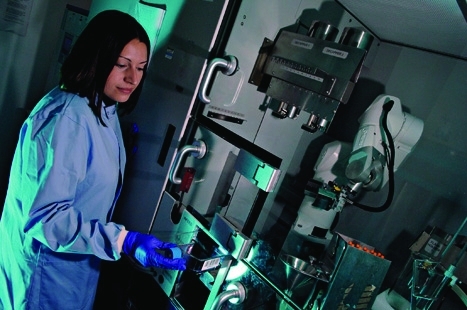 In an industry forecast to match that of the pharmaceuticals in 20 years’ time, the ability of the UK to maintain its leading position and attract international investment will ultimately lie in successful collaboration between life scientists and engineers. Acknowledging this, the government has announced that it will invest around £17m into ’regenerative medicine therapeutics’ and ’tools and technologies’ later this year.